Thies Farm and Market during October 2018. Every fall, Thies Farm and Market in Maryland Heights, Missouri, transforms into Pumpkin Land for the month of October. The park featured a corn maze, slides, swings, ziplines, a wagon ride, and more. 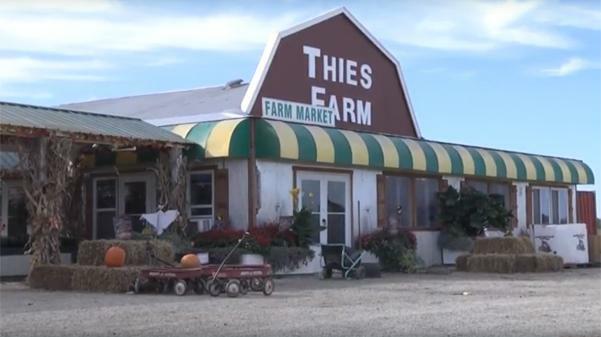 Thies Farm also sells pumpkins and other food and is open 9 a.m. to 6 p.m. Monday through Saturday and 10 a.m. to 5 p.m. Sunday.